Clovis retailers, customers and the community will once again benefit from “Big Wins Day” on Wednesday, Dec. 13. The annual promotion serves as a reward for shoppers and retailers, and is part of a ground-breaking plan City officials have developed to thank those who shop in Clovis while boosting the local economy. The plan is to encourage citizens to shop and dine in Clovis and to share their experience by posting a photo and a caption on Facebook. By doing this, each participant will be entered into a drawing to win one of many prizes worth thousands of dollars. Customers document their shopping or dining experience by snapping a photo and posting it on the contest page on the City of Clovis Facebook page. Throughout the day on Dec. 13, City officials will randomly select winners. The first Big Wins Day promotion took place in 2008 as a challenge to inject an additional $1,000,000 into the local economy during one 24-hour period. 1. Starting Dec. 7, citizens are encouraged to shop and dine in Clovis, take a photo of their shopping/dining experience, and post the photo and the name of the business in the comments section of the Big Wins Day post on the City of Clovis Facebook page. 2. Deadline to enter contest is Tuesday, Dec. 12 at midnight. 3. On Dec. 13, City of Clovis staff will compile all posts which meet the above requirements. Each post will then be entered into a database. Using a random selection generator, posts will be selected as winners of prizes. 4. Winners will be notified through Facebook and instructions will be provided on how, when, and where to pick up prizes. 5. Employees of the City of Clovis are not eligible to participate. 6. 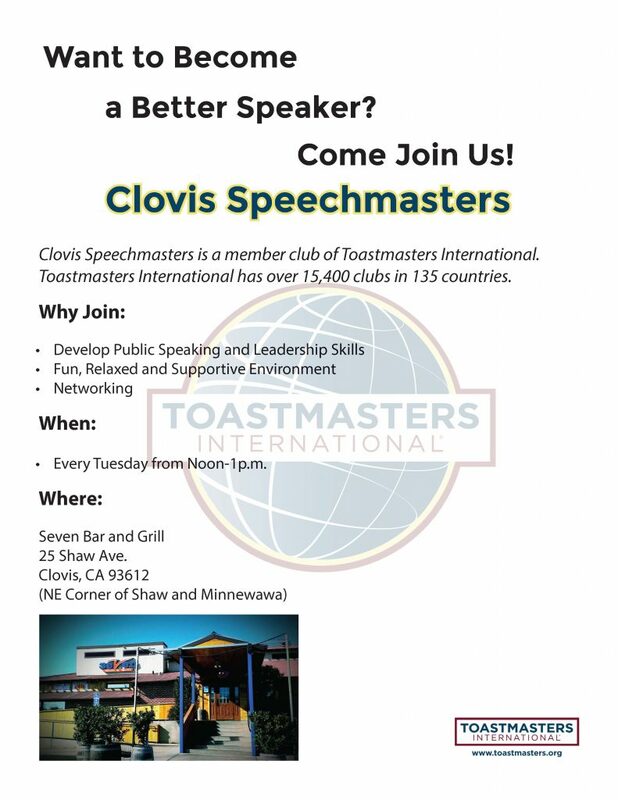 Elected and appointed officials of the City of Clovis government are not eligible to participate. 7. No purchase necessary. To obtain an entry into this contest without using Facebook, visit the City of Clovis Administration office at 1033 Fifth Street. Office hours are Monday-Friday, 8 a.m. to 4:30 p.m. If you have a disability that you believe prevents you from participating in the promotion, contact (559) 324-2083 for assistance. 8. Unless otherwise stated, the sponsors of Clovis Big Wins Day make no warranties on any prizes. Without limiting the generality of the foregoing, prizes are provided “as is” without warranty of any kind, either express or implied, and the promotion entities hereby disclaim all such warranties, including but not limited to, the implied warranties of merchantability, fitness for a particular purpose and/or non-infringement.